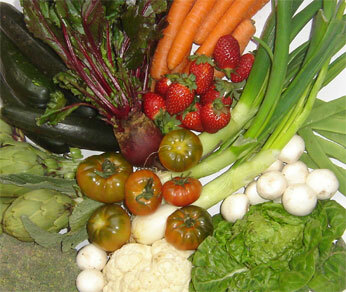 Vegetables are a varied food group that includes garden produce and fruit and is enjoyed by most people. But they also present a hazard to consumers’ health. Vegetables may be subject to different types of contamination, not only due to a wide range of chemical products, but also to parasites, virus and disease-causing bacteria. If we concentrate on the hazards posed by microbes, you should keep in mind that many vegetables grow in the ground, that they may be fertilized with organic matter and that they are frequently eaten raw. This is why controlling the sources of contamination is very important, although practically impossible. Also, contamination does not imply that the product has been altered. For alteration to happen certain conditions must be met, and vegetables are provided with protection systems, such as their external cover, which limit the penetration of bacteria. The problem is that it is difficult to detect changes in contaminated vegetables and so it is difficult to evaluate the hazard they pose. On the other hand, since contamination happens mainly on the surface of the vegetables, it is possible to eliminate it if you use a proper disinfection method. Different substances are used to obtain a significant reduction of these hazards. The most recommended one, due to its efficacy and low cost, is sodium hypochlorite or bleach. This disinfectant is very effective, especially in eliminating bacteria. Nonetheless, contact time is very important, especially when high contamination produced by organic matter exists. A guideline to be used when disinfecting raw vegetables is this: first, wash the vegetable and get rid of the dirt by rinsing it under an abundant jet of water. Then, add chlorine which, according to its label, is suitable for disinfecting drinking water or food to a container full of water. Checking the label is important, because not every kind of bleach may be used for this purpose. The dose depends on how concentrated the bleach is. This is why you must follow the instructions given by the manufacturer. Put the vegetables in the diluted bleach. Make sure there are not too many vegetables for the amount of liquid that you have prepared. Soak the vegetables in the liquid for 15 minutes, although if possible half an hour is the ideal contact time. After soaking, rinse in plenty of water. Finally, you should keep in mind that this mixture should not be reused, since it loses its disinfectant properties after one use and it should be discarded.